Wondering if you’re good enough? Do I enjoy a challenge? Silverton Mountain has an incredible variety of terrain, from open tree lines, to gullies, to wide open powder bowls. You’ll get a little of all that, but keep in mind that we don’t groom our snow, so expect natural conditions, which often vary from top to bottom. Do I love the payoff of fresh powder snow? Ready to do a little hiking to get the goods? If you’re up to the climb, you get the reward. At Silverton Mountain, you can expect to hike to different terrain zones after the lift brings you up to a saddle. The top of our lift is at 12,300′. Hiking distances vary depending on the zone, but a minimum of 5-10 minutes of hiking per lap is typical. Where do I feel comfortable skiing at other resorts? As a general rule of thumb, if you are comfortable on blacks and double blacks at your home resort, you’ll have a blast at Silverton Mountain. No bunny hill here, but that doesn’t mean that advanced intermediate skiers and riders can’t enjoy Silverton Mountain. We find that if you are on the cusp in the skills department, the tipping factor is always your attitude. An adventurous attitude is what makes a good day a great day, and a challenge sound fun! Going with a guide ensures you get all the expert knowledge and optimal terrain choices on every lap. 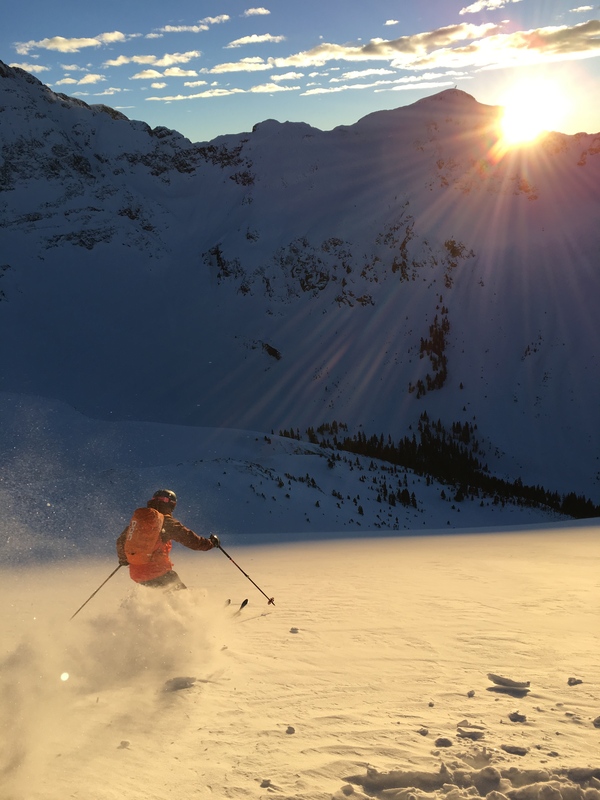 Our guides are highly experienced with an in-depth knowledge of Silverton Mountain’s amazing variety of terrain features. Take the plunge and reserve a Guided Lift Ticket today! Better still, skip the hiking and fly instead!